Newest craze: Acai bowls. Acai smoothies also! Any fruit bowl or smoothie–same issues! Yes, they are delish! But, if you want to lose weight or maintain weight, you can’t eat these! You can get one, have about 3 or 4 bites and then pass it on to someone else. On a healthy diet, you should not go beyond two small fruits a day if you want to maintain weight or lose it. FRUIT is healthier than a candy bar, but fruit has SUGAR. Any sugar will convert to carbs, then add fat to your body if you supersede 50-100 g of carbs per day. So, educated yourselves and stop eating things just because people say it is healthy. Too much sugar is not healthy. Eat two small fruits a day and stay thin! Today’s blog subject is dedicated to one of my friends in Pilates class. She brought up a subject that is important to discuss in my blog because it comes up all of the time when people ask me how I keep the weight off. Eating healthy doesn’t mean eating large amounts of sugar and carbs! I do eat very well. Salads twice a day. Four servings of veggies a day (small ones), 2 small fruits a day, 6 protein-based foods per day, water, etc. But, keep in mind that I want to keep my carbs between 50g to 100g per day. Also keep in mind that it takes about 4g of sugar/carbs per 1 sugar cube. We get conned into eating and drinking things based on their nutritional qualities, but in fact, they are LOADED in “unhealthy” amounts of sugar and carbs. Trust me, I know. I gained over 40 pounds at one time just eating “healthy foods”, without knowing the secrets behind their fat-causing carbs! If you want to lose weight, you want to eat six protein-based “small” meals per day. Here are 10 items to stay away from, but I mention how to do it with low-carb or replacements for them. I am letting you in on my found-out secrets! If you have a smoothie, it has to be more vegetables than fruits (fruits have a lot of sugar and carbs) and the size you drink has to be small. Depending on what you put in your smoothie, perhaps about 4-6 ounces is enough. Are your smoothies bigger than that and has a combination of high carb/sugar fruits in them? A few berries, citrus–that is ok….but loaded in apple, banana–you are looking at a lot of carbs. Some of the smoothies at a regular juice place, like Jamba Juice, have 67g of carbs (This is over 20 sugar cubes–would you eat 20 sugar cubes?) in a basic 16 ounce smoothie. If you are only supposed to have between 50-100g of carbs per day to stay thin, that is a lot for one drink. There goes the rest of the carbs for the day! Instead, I personally recommend eating real veggies and two small fruits a day. Smoothies are really for people who can’t stand eating veggies and it is the only way to get it into your diet. Don’t drink orange juice–eat an orange. Loaded up with granola (NOT A HEALTH FOOD–way too much sugar. Use plain nuts instead). I never eat granola. A lot of people see it as a health food. NOT! It has 38g of carbs in just half of a cup! An Acai Bowl has about 125g of carbs between the granola and the banana, etc. These are not diet foods. WATCH OUT FOR NUTS: 20g or so in carbs per cup. Limit them or measure and bag them in advance when used for a snack. My snacks usually consist of a few nuts and cheese (little to no carbs in cheese). Western Bagel has a low carb bagel called the Perfect Ten, that is usually a special breakfast item for me out of my usual eggs. Stay away from cereal. Mostly carbs, sugar and chemicals. Try oatmeal instead, but keep it to a small serving because it is high in carbs. Read the labels. Also, muffins have grains. Grains are higher in carbs. I don’t care if it is a bran muffin or a blueberry muffin–it is still a muffin. It wiIll add to a muffin top, if you know what I mean. Has a lot of sugar and carbs. Instead, eat fruit. 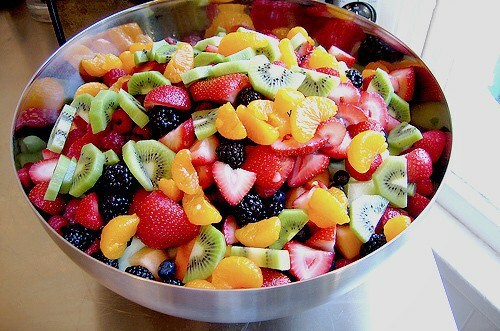 2 small amounts of fruit per day. If you eat a banana, one serving is HALF of a large banana. High carb, little nutritional quality–even the brown stuff. Quinoa is better, but it is also high carb, so limit it to a few spoons worth in a serving. A cup of Quinoa is over 100g of carbs. As high as rice. Also, rice has arsenic in it. Yuck! ALSO RICE CAKES ARE HIGH IN CARBS TOO! Bread products of all kinds are high in carbs. I don’t eat sandwiches either. A slice of bread can be around 30g of carbs. Some of the lower carb breads like Ezekiel, is about 10g EACH slice. But, a medium sized wrap is about 22g of carbs. I eat salads with meat and other proteins on them or a sandwich or burger that is wrapped in lettuce and not a bun or wrap. Watch out for tortillas too, unless they are the specific low-carb ones, which you can see at any store, even Trader Joes. A regular tortilla can be over 30g of carbs, but a low carb one can be about 5g net carbs, once you factor in the fiber. Watch out for JUICE. It is just liquid sugar. All laden with high carbs. Only get ones that are low carb. Less than 20g of carbs is best. Or you can factor in fiber. Look at the total carbs and subtract the fiber and you have net carbs. Very high in carbs if you pick the wrong one. Buyer beware. Some of them are only 10g of carbs. 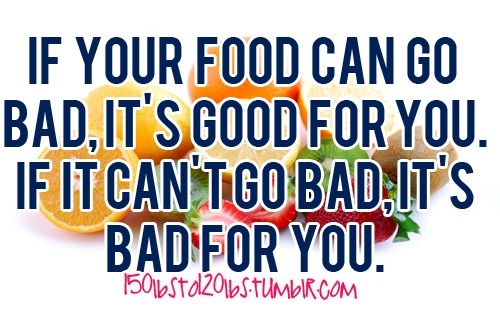 So choose wisely and look at the nutritional labels. Most of the low-cal frozen foods are high carb and will put weight on you. Just look at the labels. They are also loaded in sodium (as is canned soup) and are not good for your heart. Some of them are so high in sugar and carbs, it should be illegal. You could be looking at 20-30g of carbs per cup. Greek yogurt has better options and if you choose the ones that are unflavored, there are hardly any carbs. There are a few products like Danon Lite and Fit Greek Yogurt flavored, with only about 10g or less of carbs per cup. Frozen yogurt is laden in sugar, carbs and a lot of really nasty chemicals. There is nothing “yogurty” about it. You are better off having a no-sugar added scoop of Dreyers or Breyers ice cream. Breyers Carbsmart ice cream bars are delish and low in carbs. I get them at Ralphs, Smart and Final, and Wal-Mart. Yes, they are good for you–in small amounts. A tablespoon is about 8g of carbs. A cup of them is about 120g of carbs. So, your burrito with the high carb shell, high carb beans and high carb rice will easily top you over 100g of carbs for your one very healthy organic Chipotle burrito. I always do a salad version, limit the beans, no rice. One of the more popular “natural” sweeteners is Agave nectar, also called agave syrup.You will find this sweetener in all sorts of “health foods,” often with attractive claims on the packaging. One of the main problems with sugar is that it has excessive amounts of fructose, which can cause severe metabolic problems when consumed in excess. Whereas sugar is about 50% fructose and High Fructose Corn Syrup about 55%, Agave contains even more… up to 70-90%. Try Stevia or just use natural sugar, in moderation, because sugar is not good for losing weight. And if you are putting fruit in your smoothie (and I don’t recommend smoothies and I don’t do them anymore), then you have enough fructose sugar from the fruit, so why add more? Stop being a sugar junkie! 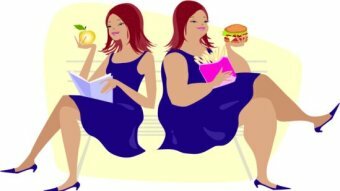 Leptin Resistance and Obesity…is this the problem in losing weight? What can we do about it? There was a study that came out recently. In a nutshell: Research subjects were then given diets intended to maintain their weight loss. A year after the subjects had lost the weight, the researchers repeated their measurements. The subjects were gaining the weight back despite the maintenance diet — on average, gaining back half of what they had lost — and the hormone levels offered a possible explanation. Their hormones were working against them! It was determined that the dieters are putting their bodies into a circumstance that it will resist. A solution might be to restore hormones to normal levels by giving drugs after dieters lose weight. But, researchers just do not know enough about obesity to prescribe solutions. GREAT!??! Similarly, while researchers investigate the pharmaceutical avenues to convert white fat cells to brown in an effort to reduce the potential for cancer growth, other research has already shown that this can likely be achieved through exercise. 80 percent of the health benefits you reap from a healthy lifestyle comes from your diet, and the remaining 20 percent from exercise – but it’s a very important 20 percent, as it acts in tandem with and boosts the benefits derived from a proper diet. For maximum benefits, you’ll want to make sure to include high-intensity interval training. 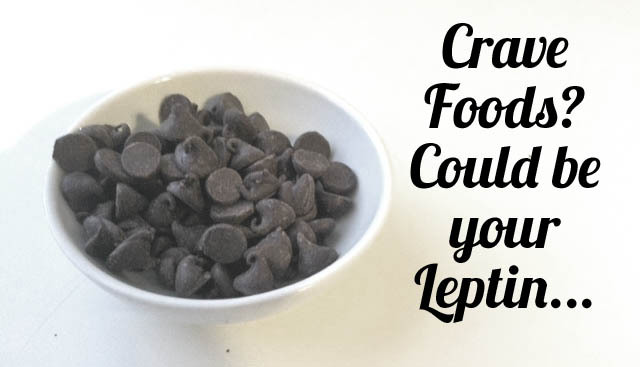 Can you take leptin or supplements to stimulate leptin to help? There is no proof of it helping, except in very rare cases. The suggestions are rather than taking supplements that haven’t been fully proven to help, overweight people have other options to aid leptin functioning. So therefore, you have to reduce resistance to insulin (a hormone that controls blood sugar) and to bring down high levels of triglycerides (a blood lipid). Insulin resistance generates leptin resistance. The practical advice is: Get your insulin down by cutting the sugar down, and your insulin resistance would improve and that would help with the weight loss. So, we are back to sugar again as the enemy. CUT OUT SUGAR AND cut down on UNHEALTHY carbs. Stick with only natural healthy carbs! And watch the amount of fruit you eat. Fruit has fructose (sugar). My Weight Loss Rules That Made Me Skinny and Kept me Skinny, and I EAT! So, if you want to lose weight, you have to choose to eat better. You have to make a difference, makes some sacrifices and make a lifestyle change because you have allowed food addiction to rule you and take over your body. If you choose to lose, here are my rules. I am still a size 2 (down from a 10 or 12), two and a half years after I changed my ways, and you can be a lower size too. You are allowed 50-100 carbs a day. So, you have to count and you will get used to it. Basically what I do: 6 meals a day, every two to three hours. You eat every 3-4 hours because you will get hungry and when you eat, then your metabolism will not slow down and burn off slowly. Believe it or not, eating this way makes your body BURN! You might even feel hot. 3. I have an egg, and try to have it different most days and I might make an omelette and throw a piece of low fat cheese in it. 4. Spinach helps lower food cravings. 5. If you are hungry, drink something or have a small protein to tide you over, like low-fat baby bell cheese or some kind of low fat cheese or meat. 6. I eat three protein snacks a day and I vary it between something from Lindora.com, or a protein bar or shake. PROTEIN NUMBER ONE. I do an egg. If it makes you happy, have an egg with some bacon or turkey sausage by Jenny-O. Have a piece of Fruit. You are better off with berries or citrus. So have half a grapefruit or some strawberries. Go ahead, spray whipped cream on it–no carbs or sugar. Look at the portion size of fruit in the paperwork. I do half a banana, but I stick to the lowest in carbs–berries and citrus. Some fruits like Apples and Bananas are high in carbs/sugar. PROTEIN NUMBER TWO: A protein of your choice. PROTEIN CHOICES: Eggs, cheese, turkey, chicken, sausage, hot dog, etc. You can do a yogurt, but you should try Greek Yogurt, tastes SO much better than regular yogurt and healthier too. Dannon lite and fit makes a GREEK YOGURT that is really good and low in carbs and sugar. Get the cherry or raspberry one. They use beatles for color in their strawberry and blueberry one and that makes me want to puke. There is low-fat Cottage Cheese too. Another kind of protein you can do is a protein bar….pick one from the choices and the right size. Power Crunch bar, the chocolate one and the peanut butter one are two very good flavors. These taste like delicious wafer bars. There are more at Smart and Final, but these two are the best and Trader Joes prices are slightly better. The Trader Joe’s protein shakes in a can are really low in carbs (taste better cold). These are not the thickest shakes, so if you mix in some almond milk, that would be better. You should try UNSWEETENED vanilla almond milk. LOW in sugar and carbs and really not bad at all. Healthier for you and better for a diet. It is in the refrigerated section near the milk in Trader Joes. I have a protein, but I throw the protein in a salad and make it a big salad. You have to have salad twice a day. There is a choice of two veggies (check portion size) to put in the salad if you want. You can have a fruit serving. Check size. 6. Snack: A protein again. I do a small Carbolite (now only at a few places like the yogurt store next to Ralphs on Ventura and Topanga and a few out-of-the-way places) or low sugar ice cream like Breyer’s has or Dreyers (usually says no sugar added). Just a cup of it. Measure and look at the serving size and carbs on the label. But, you have to look at how many carbs have added up to pick. Most proteins have no carbs. You can have another power crunch bar too. You can drink Splenda type soda, but get in 80 ounces of fluid a day! Non Fat salad dressing on salad, I use Trader Joe’s Ginger Soy Non fat and it is so good. Look at labels. Balsamic vinaigrette is good and low fat Ranch is usually good. Take Potassium Glutonate and a multi vitamin daily. Consider a multi B vitamin to keep your energy up! I get two B shots a week and weight often. You should weigh daily and see how it is going! You can do a grain or bread instead of a protein, but only 3 times a week and look at the size. Instead of a protein, for example, you can do a slice of wheat toast. Oatmeal is only half a cup. Get bread that is low carb and high fiber. Dave’s Killer Bread at Pavillions and other places…you can look online. It is good and high in protein and a lot of fiber. Ezekiel bread at Trader Joes is one of the best. But, only two slices a week!! There are low-carb tortillas available at Trader Joes and Costco. There is a huge difference between a regular carb tortilla and low-carb tortilla. One is almost 40 carbs and one is under 10. Also, Western Bagel has low carb (10g) Perfect 10 bagels. They are tasty and such a great carb count! And they have protein too. Restricted diet!!! But, it works and if you are eating about every 2-3 hours, you won’t die! Two small servings of fruit per day with your six small protein portions and four small servings of vegetables per day. Try to stick to lower sugar fruits. I have put food items on my blog that are “processed foods.” But, when losing weight and you are NEW to changing your lifestyle, it is very hard at first to give up everything. I do believe in making the changes and not worrying too much about processed foods until you hit a point where your sugar cravings have disappeared and you are used to eating smaller portions of proteins six times a day, with two small servings of fruit and four small servings of veggies. So, let’s assume you are used to your new eating plan. What are processed foods and how are they bad? Processed food has a bad reputation as a diet saboteur. It’s blamed for our nation’s obesity epidemic, high blood pressure and the prevalence of type 2 diabetes. 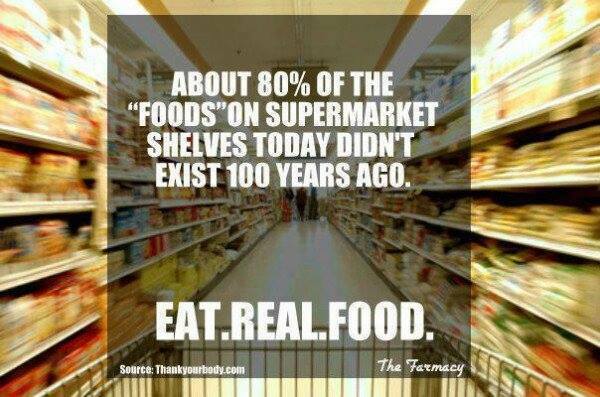 But processed food is more than boxed macaroni and cheese, potato chips and fast food. Whole-wheat bread, homemade soup or a chopped apple are also processed foods. 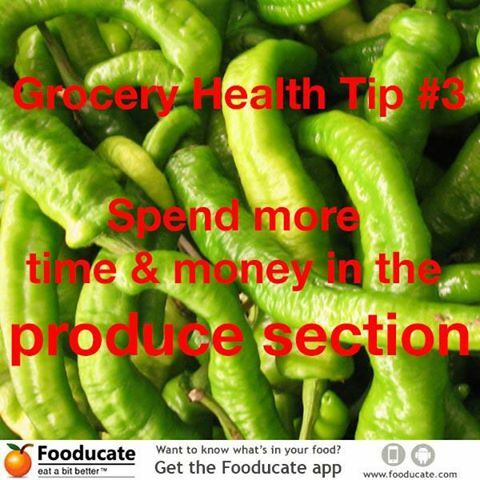 bagged lettuce, spinach, etc, cut vegetables and roasted nuts — are often simply pre-prepped for convenience. canned beans, tomatoes, frozen fruit and vegetables, and canned tuna. sweeteners, spices, oils, colors and preservatives) include jarred pasta sauce, salad dressing, yogurt and cake mixes. Ready-to-eat foods, like crackers, granola, and deli meat, are more heavily processed. frozen or pre-made meals like frozen pizza and microwave dinners. Processed food can be beneficial to your diet. Milk and juices are sometimes fortified with calcium and vitamin D, and breakfast cereal may have added fiber. Canned fruit (packed in water or its own juice) is a good option when fresh fruit is not available. Some minimally processed food like pre-cut vegetables are quality convenience foods for busy people. Bagged vegetables and salads are helping people eat more vegetables. They’re more expensive, but if your choice is between paying less and chopping it when you know you’re not going to do that, and paying a little more for the bagged vegetable you know you’re going to eat, the [bagged vegetable] is a better choice. You need to read the ingredients list and review the nutrition facts panel. Eating processed food in moderation is fine, but consumers should be on the lookout for hidden sugar, sodium and fat. Sugar isn’t just hidden in processed sweets. It’s added to bread,pasta sauces and cereal. The number of carbohydrates on the nutrition label also includes naturally occurring sugars which may be a significant amount in foods like yogurt and fruit. Instead, review a product’s ingredients list and look for added sugars among the first two or three ingredients such as sugar, maltose, brown sugar, corn syrup, cane sugar, honey and fruit juice concentrate. Most canned vegetables, soups and sauces have added sodium. We need some sodium, but we often consume much more than the Dietary Guidelines for Americans’ recommended 2,300 mg a day (1,500 mg a day for those over 51 years of age, or African-Americans, diabetics and those with hypertension or chronic kidney disease). High sodium intake is linked to hypertension, or high blood pressure. Three quarters of our sodium intake comes from processed foods. Only 20 or 25 percent of it comes from salting our food. Canned vegetables, soups and beans can be packed with nutrients, so don’t cross them off your shopping list entirely. Instead, look for reduced or low sodium on labels. Also, always rinse canned beans and vegetables and reduce sodium content by about 40 percent. Some fat in your diet is good for you. It isn’t the fat that is the problem in weight gain….it is SUGAR and CARBOHYDRATES. Your body needs fat. It doesn’t need sugar or carbs. But, your brain and body can get addicted to sugar and carbs. Tossing everything in your pantry out all at once is a good way to waste money, but gradually replacing processed foods with fresh alternatives helps curb cravings and hunger. Highly processed foods are low in nutrients, causing the body to seek more food to find the nutrients it needs, which leads to a vicious cycle of overeating. You don’t have to empty the pantry all at once, but slowly start making swaps like fresh fruit and yogurt for protein bars (which can contain as much sugar as a candy bar) or hummus and fresh veggies instead of nutritionally devoid pretzels. Eat fresh food. Fresh meat, salads, fruits and vegetables. Learn to Cook! It isn’t that hard. Find time. Your iPAD games or Playstation is not more important than your health. You can prepare foods and have leftovers for days. Some things take little time to cook. Learn about Genetically Modified Food and how it is ruining your body and keeping us overweight and sick. 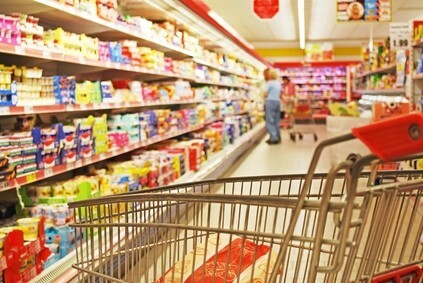 Start to read labels on whether the items you are purchasing are organic, grain fed or not. Genetically modified food is a huge problem for people and has been, since it was introduced 30 years ago. Notice the obesity rate has increased since they started messing with how they grow or raise our food?! There are also more stomach and colon issues because our intestinal balances are completely being messed up. GMOis a whole other Oprah and perfect for another blog day. If you want to read more, Foodbabe.com and Fooducate.com! A fruit by any other name would smell as sweet, but it could still put weight on you! You could do 6 protein snacks every 3-4 hours (4 ounces of meat or cup, 2 ounces of low-fat cheese, 4 ounces of low-fat cottage cheese or 1/2 cup yogurt or an egg) and you could eat two small servings of veggies a day (leaving out potatoes and other root veggies and avoiding rice), but still have trouble losing weight. Fruit could be an issue. Some people have fruit as a snack. Fruit without a protein is not good for a diet. 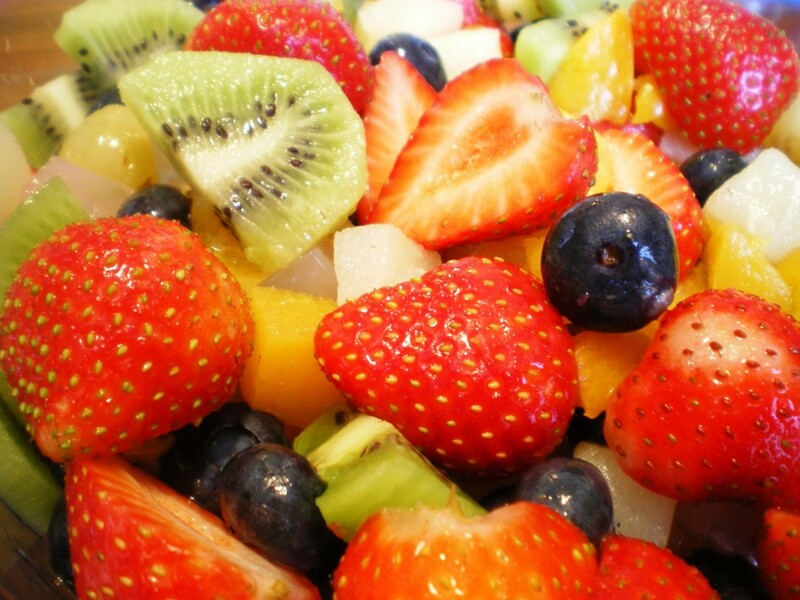 You should have to servings of fruit a day….but have it with a protein snack. Have some fruit with some peanut or almond butter, your salad and meat, cheese, nuts, protein bar or shake, in your low-carb Greek Yogurt or cottage cheese. a whole apple is 25g of carbs vs. an orange at 11g of carbs. 1 cup of strawberries is 13g of carbs vs. 1 cup of blueberries at 20g of carbs. A medium banana is 27g of carbs vs. 1 cup of papaya at 14g of carbs. 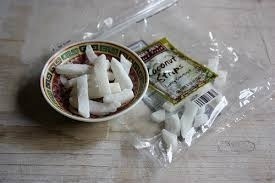 Eating the Coconut Squares Is A NoNo! A client of mine went to Trader Joes before coming into my office. Her friend came with her and had a bag of Trader Joe’s lightly sweetened coconut strips. The friend offered me some, telling me that she had been eating them and that they are delicious. Apparently, she does not read my blog. 1. A coconut is a fruit, a fruit high in carbs. 2. It is sweetened. Always go for unsweetened. 3. Fruits should be natural, no sugar added and eaten in measured amounts, knowing the carb amount. I took the bag and looked. 1/4 a cup was a total of 24 grams of carbs. 6g of fiber is good, but only 2 grams of protein (you should be eating MORE protein, less sugar). It also had 16g of sugar, or approximately 4 sugar cubes per 1/4 a cup. And 1/4 a cup is teeny! I am going to guess that this lady either had no breakfast or ate a little carby food item before venturing out with her friend, causing her to have a sugar roller coaster affect, and a major sugar low and a need for something sweet (more of the hair of the dog that bit her). And what a shame too. She is getting over a major illness and should be focused on eating right, not eating sugary coconut strips. Just because Trader Joes or Whole Foods sells an item, it doesn’t mean that you should eat it, that it is good for you, or you will lose weight. I have discussed substitute snacks many times. A snack between each meal and after dinner. They should all be protein based, low sugar. If not dairy products cheese, cottage cheese, etc) eggs, or meat. There is also low-sugar protein bars or protein drinks, low-sugar or carb Greek Yogurt, measured out nuts or peanut or almond butter. If you have a piece of fruit, eat a natural one, not dried and a small piece mixed with some form of protein, your body will feel full longer with protein, not sugary fruit alone. 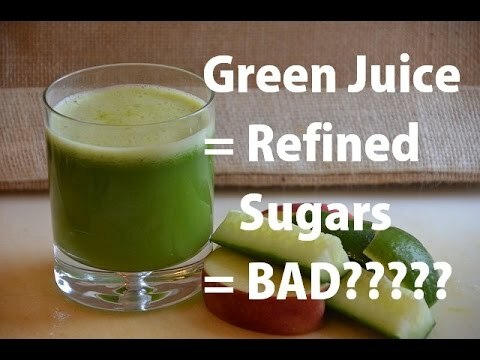 Juice Drinks: Healthy and Diet Friendly? I thought that I was eating so healthy when I was gaining weight and when I was about 40 pounds heavier and dying to lose weight. I had my facts all messed up. I guarantee that you have the facts wrong too. Let’s look at some “healthy” foods, which are not so healthy and how they also are making you fat. Have you ever looked at the labels on your fruit drinks? Bottles mention serving size at the top of their nutrition label. You might think that the whole bottle is a serving size, but actually if there are two or three servings in one bottle, then you have to multiply the label information by the amount of servings in it–if you plan to drink the whole bottle (as many of us do). I know someone who thinks that Odwalla and Naked Juice is good for their diet. In those drinks, the fruit is genetically modified and that is a whole other health issue. Fruit is not the only ingredient in those bottles, and many of the other ingredients are not good for you. The amount of carbs and sugar in one serving is usually staggering. I believe that in my example’s one serving, there was about 50 or more grams of carbs–and he drank more than one serving (the whole bottle). There was the equivalent of about 11 whole sugar cubes in his drink. Would you willingly eat 11 sugar cubes? Naked juice was in the news recently for getting in trouble for labeling their product as “all natural,” when it isn’t. These products are not honest. Now, they have to remove that from their label. Jamba Juice is another scary choice. Between too much fruit (fructose sugar), sherbet or ice cream, and milk—a serving can be about 100g of carbs. The lighter versions, “Fit and Fruitful” have about 50g. And to rub salt I to the wound, there is usually only one gram of protein. Yes, you can add protein to your smoothie, but you are still drinking a lot of carbs. You could have had a cheeseburger on a bun for less carbs and you are choosing a smoothie instead? If you want to maintain your weight or lose weight, you should consider between 50g and 100g per day. You wind up blowing most of your day’s carbs on this one drink and it will also cause a massive sugar mood roller coaster ride. You will be really tired later, when the roller coaster comes down and you are now craving more hair of the dog that bit you–sugar. And if you don’t follow the rules of 6 proteins every 3 to 4 hours, two servings of fruit a day and four servings of vegetables (no starches) per day, then your weight loss will be questionable. You need protein to lose weight, gain muscle and to fend off hunger cravings. These smoothies will not do the job. For those of you who argue that fruit is healthy, yes to is, but not squeezed from large quantities and without pulp and especially not if the fruit is genetically modified. INSTEAD: Eat two small cup-sized servings of organic fruit a day. Berries and citrus are the lowest in carbs. Have one earlier in the day with your protein and one later in the day with a protein. Or make your own smoothie with the right amount of fruit, protein powder, some almond milk and lots of ice. Heck, throw some spinach in too. It is all blended and tastes great. You can even throw in a little Splenda, Truvia or Stevia.